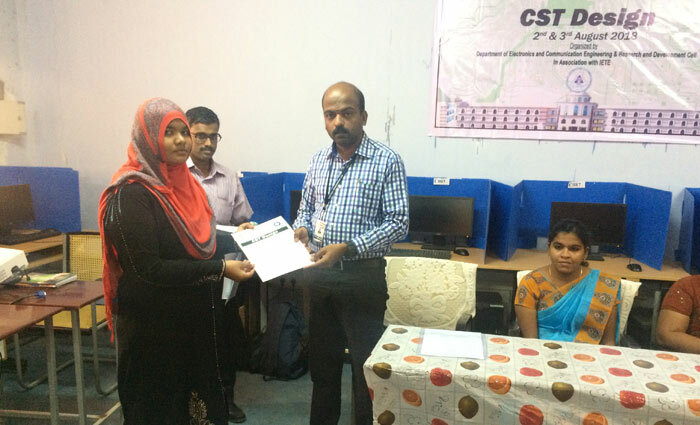 A two day workshop on CST Design was conducted by the Department of Electronics and Communication on 2.8.2018 and 3.8.2018. 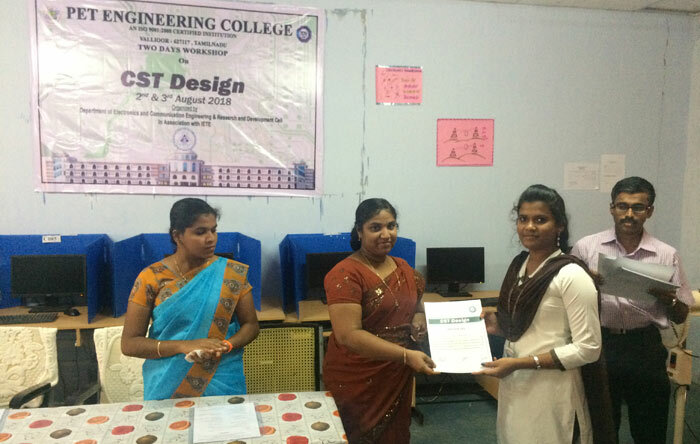 Ms. P. Saraswathy, Technical Expert in CST Design, was the resource person. K. R. Jaya Kanan (IV Year ECE) welcomed the gathering. Dr. N. Mohammed Sheriff delivered the inaugural address. In his address, he insisted the students to keep abreast of the latest applications to succeed in their career. The Head of the Department Dr. K. Madhan Kumar presided over the function and gave a bird�s eye view of the program. 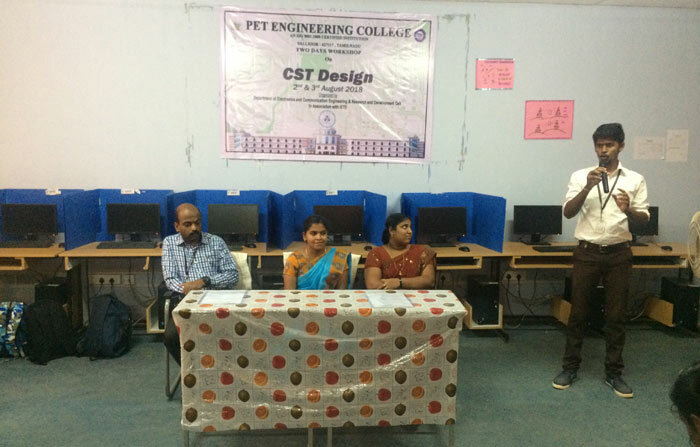 The resource person Ms. P. Saraswathy gave a power point presentation on the basics of CST tool. 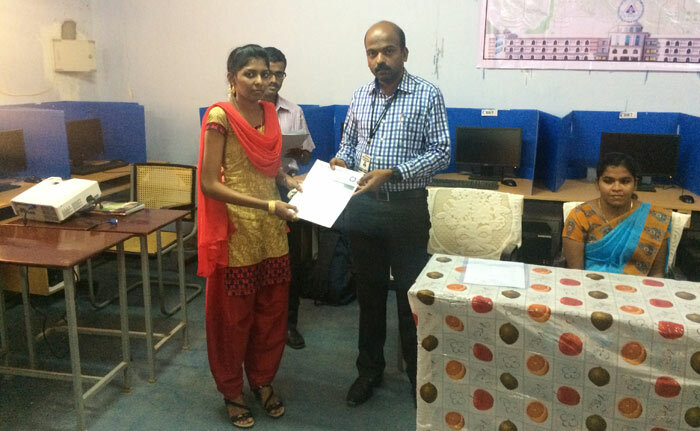 She demonstrated the layout and design based on RF, Antenna and communication. 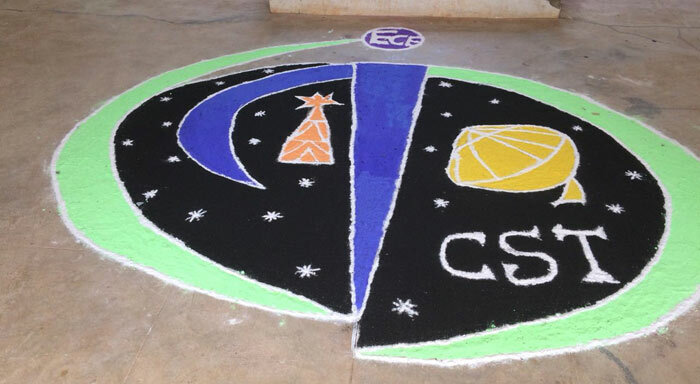 The students were also assigned the task of doing a simple layout design using CST tool. The valedictory function was held on 3.8.2018 and certificates were distributed to the participants. 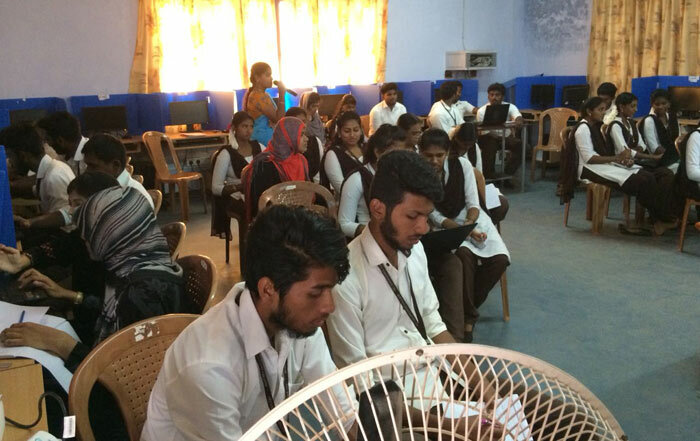 The students also put forth their valuable suggestions and feedback. K. Bala Sundara Vinayagam (IV Year ECE) proposed the vote of thanks. 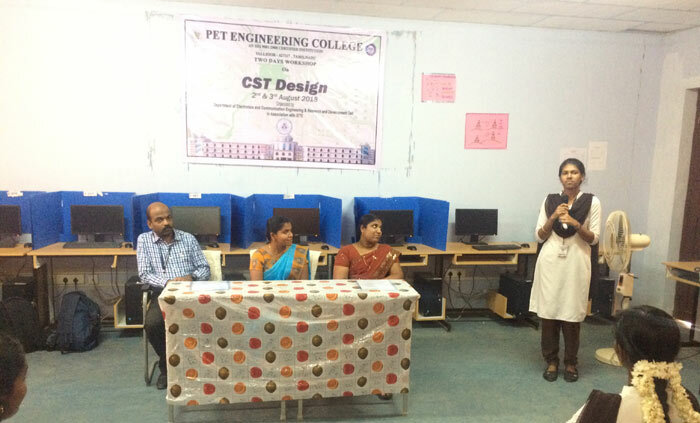 Mrs. S. I. Padma, Assistant Professor, Department of ECE co-ordinated the two day workshop.